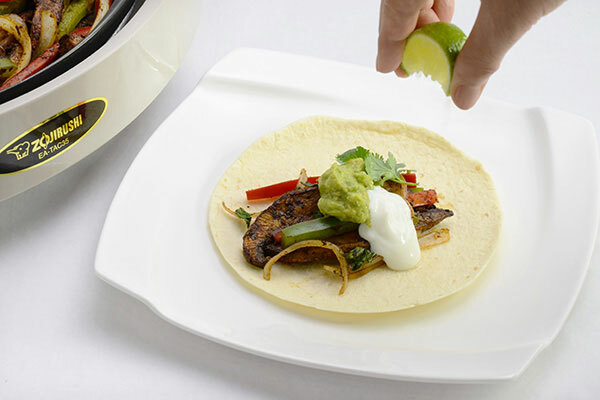 Who said fajita always had to include meat? 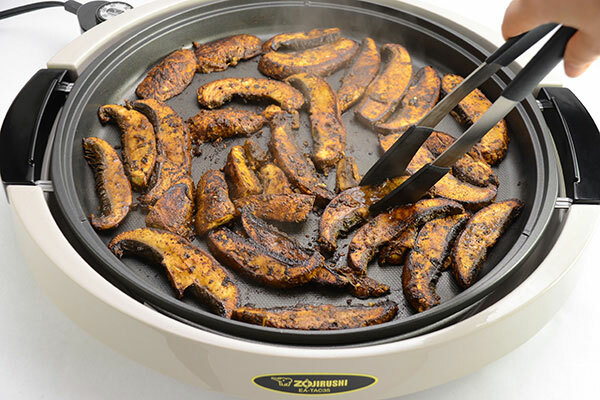 We chose to go healthy by substituting meat with juicy Portobello mushrooms. This colorful dish with a kick of chili will be perfect for your fiesta tonight! 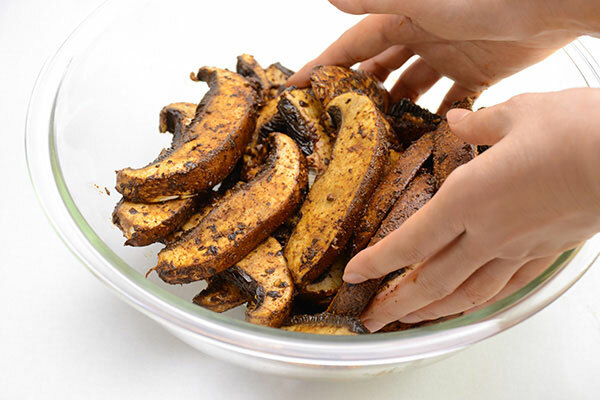 Mix garlic, chili powder, cumin, salt, pepper, lime juice and vegetable oil in a large bowl. Combine the Portobello mushroom, set aside. Make the guacamole. 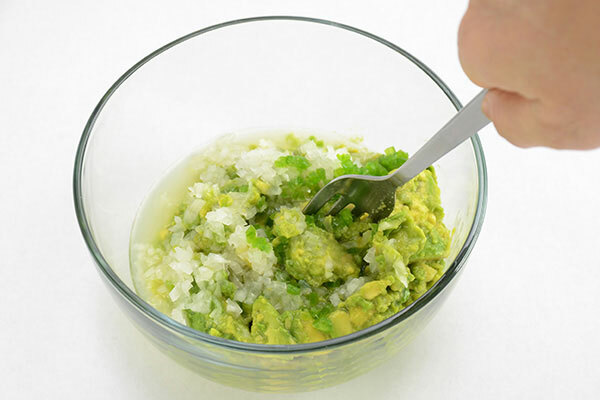 Combine the avocado, white onion, jalapeño, lime juice and salt. Cover and put in refrigerator and chill until needed. 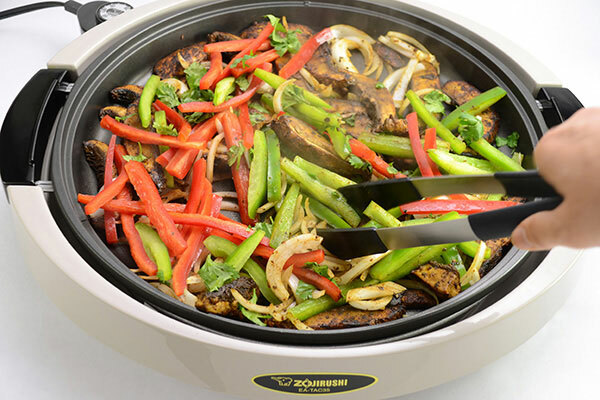 Turn the Gourmet Sizzler® Electric Griddle control knob to 400ºF. When the pilot lamp turns off, sauté the marinated mushroom for 3 minutes. Add onion, peppers and chopped cilantro to the mushroom and cook until tender. 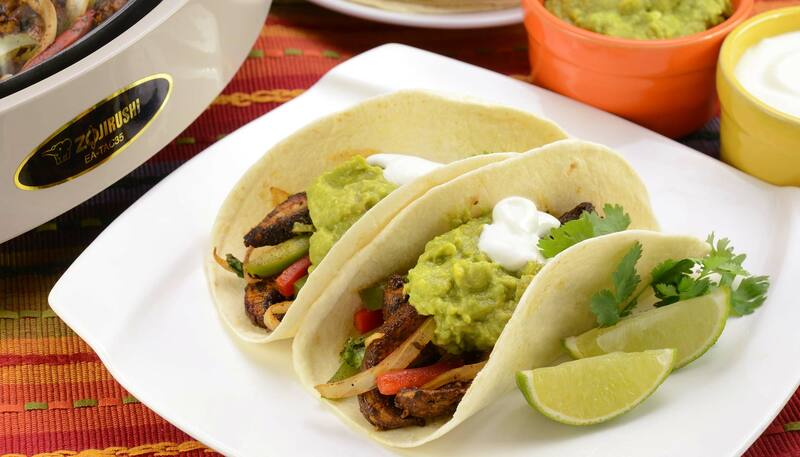 At the table, serve with warm tortillas, guacamole, and other toppings. 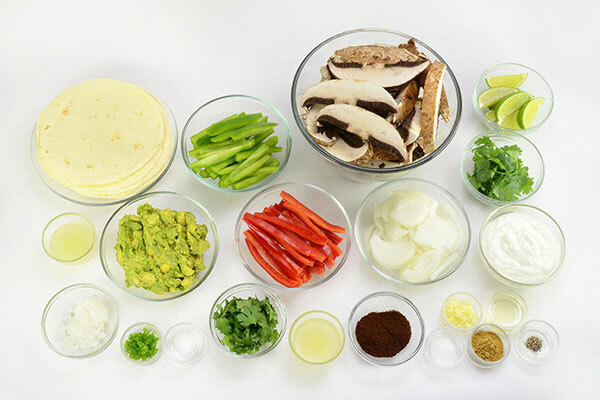 Place some of the filling and toppings onto each tortilla and squeeze lime, then roll up and enjoy.